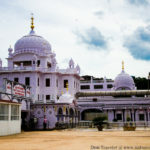 Tabe Gobind Singh Naam Kahaun. Guru jees words were proven right in many a battles where Sikh Soldiers were far outnumbered by enemy yet they emerged victorious showing exceptional valor that is still talked and taught on books of warfare and shown in many a movies. 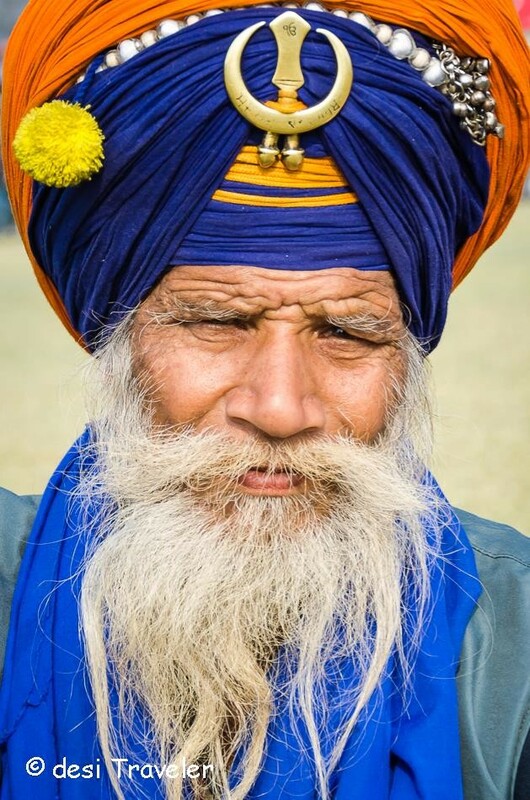 A Nihang is duty bound to defend others in time of wars and calamities. Though today Nihangs do not take part in wars as a formal army, they continue to enjoy tremendous respect and still practice their traditional skills and warfare tactics. 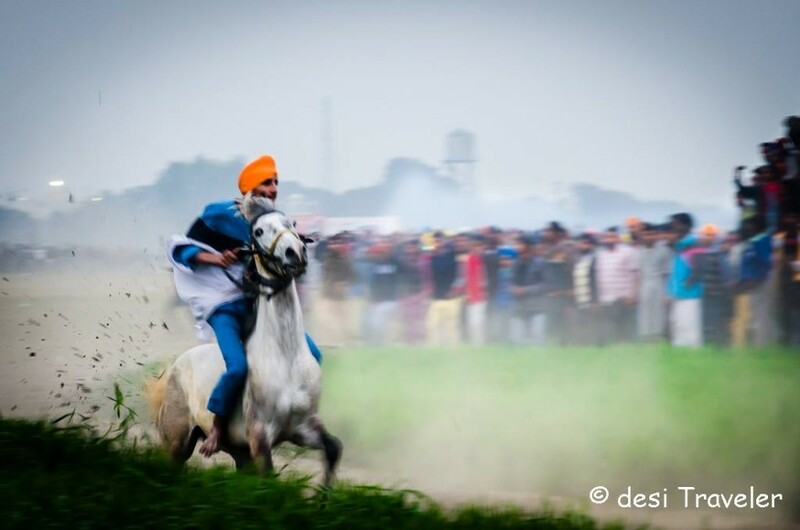 In major festivals in Punjab like Hola Mohalla, Baisakhi, Guru Parbs, etc. Nihangs still display their martial skills like Horse Riding, archery, swordsmanship etc. These pictures I am sharing here were clicked in Kila Raipur, near Ludhiana, during annual Rural Olympics. 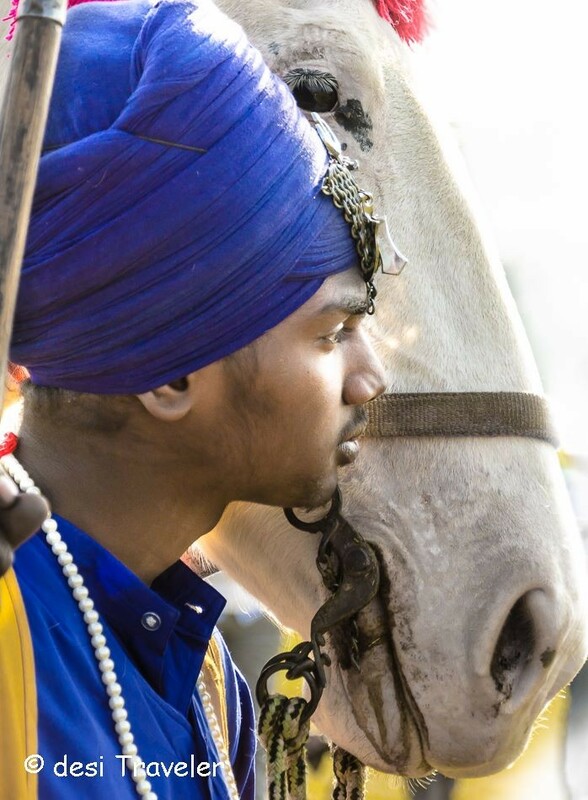 As you can see they wear mostly blue clothes with a saffron turban and ride a horse during ceremonies. 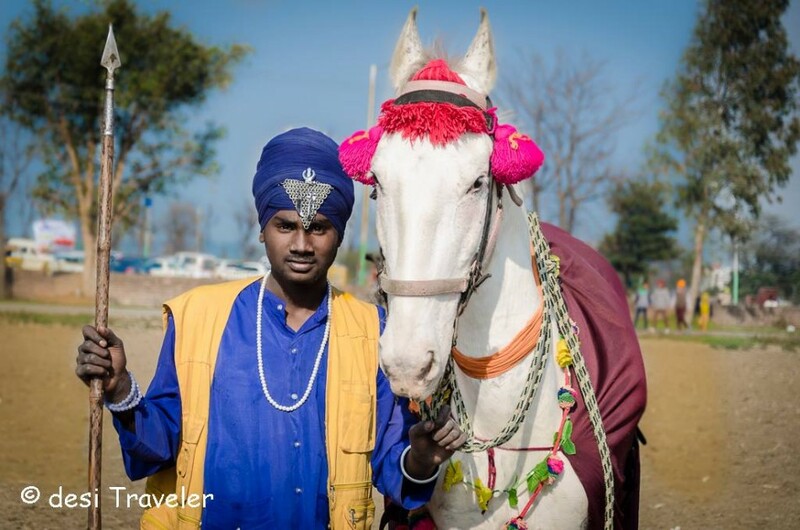 One of the Nihang Baba at the games used to appear suddenly from nowhere riding 2 horses as people would run in every direction to let him pass. While some of the younger guys showed their skills riding a motor cycles. 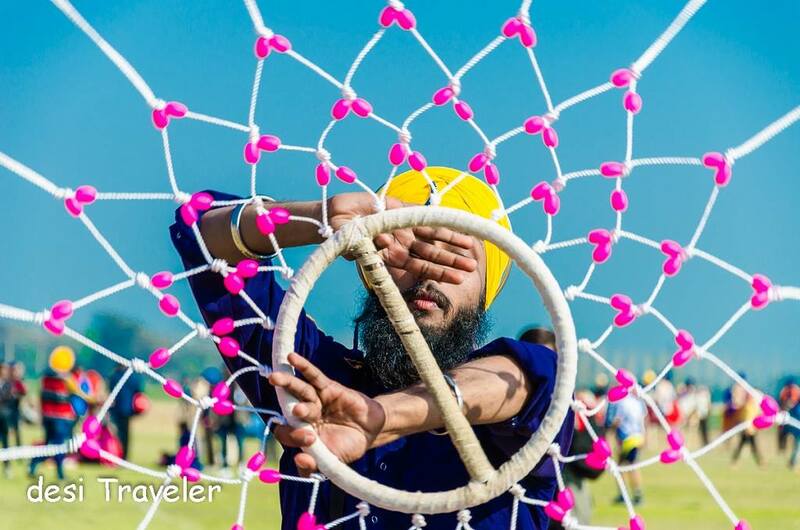 I am hoping to go to the Hola Mohalla festival coming year at Shree Anandpur Sahib, and learn more about these torchbearers of a glorious tradition. When I was at the festival not all the Nihangs were in their complete warrior gear, some of them were just wearing traditional blue dress, and turban and Kripan, but just from their gait and carefree attitude you could identify them from the crowds. 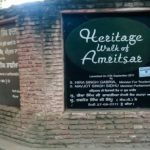 Have you visited Punjab ? 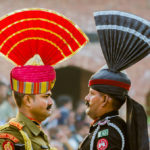 It may not be your regular touristy place but Punjab offers some of the most beautiful Sarson Ke Khet or golden mustard fields in the world, holy shrines like Golden Temple, and you can actually go to Wagah Border and see Pakistan. If you time your visit to a major festival then you will also witness the martial skills displayed by Nihangs. Oh yes, I love Punjab. 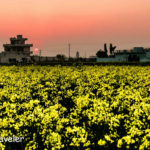 I witnessed those sarson ke khet and they are spectacular. Fabulous pics! Fabulous shots! Thanks for sharing this!